Hey, Patrick here, and I’m happy as a dog with two tails right now, because I’ve go something super exciting to announce. After many months “behind the scenes” in careful developing and testing, we’ve just unleashed a powerful new real estate deal-getting resource called “Property Scout Pipeline“, and we’ve already started hearing some really great feedback from real people test driving it in their business. What is a Property Scout? Ever heard of real estate bird dogs? Easy, right? 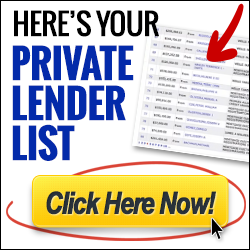 Someone who searches for possible deals for an active real estate investor like you/me. So basically your boots-on-the-ground person who strategically locates juicy property leads for you, the investor. So rather than keeping tied to the hunting metaphor, let’s rename classic “bird dogs” into something that better fits their role: Property Scout. So here’s the bottom line: What we’re talking about is having others systematically spoon-feed you property deals for your real estate biz. This is really not a new concept. But here’s the twist: Some investors cracked the code on this bird dog/property scout thing. Rather than just a time-to-time, hit-or-miss type thing, many investors have created a whole army of bird dogs for their investing business. 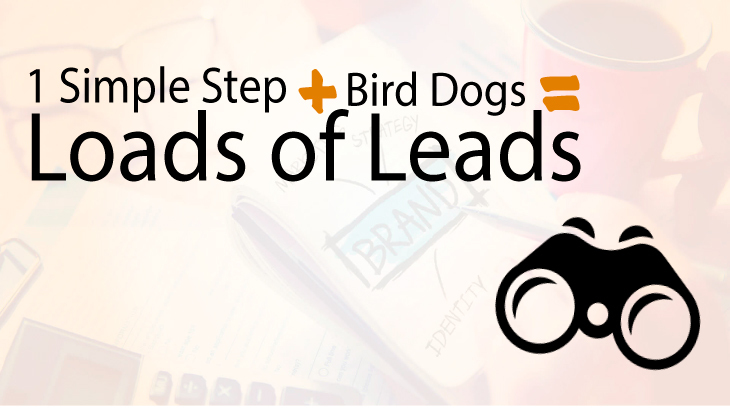 Think about how much time you’d save by having a bird dog find your leads for you. Time gained that you could be spending doing more of what you do best—making money negotiating and closing deals. Imagine how many leads you could get if you had 10 or 20 or more bird dogs driving the neighborhoods looking for exactly the types of properties you want. With a brilliant system we just created and launched—one that’ll not only save you time, but also help your business be more productive, organized, and yes, more profitable. The Property Scout Pipeline is a lead-generating system that’s just a 1-step process. It was first crafted by my good friend Dolmar Cross, who had no money—zero —to use for marketing for leads. So he figured out a way to leverage property scouts to do it for him. The Property Scout Pipeline is a multilayered software program that handles tons of tasks such as managing the status of each lead, keeping notes and adjusting the progress as leads move forward. 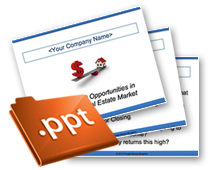 This amazing system can actually track hundreds of property scouts in several different markets. I remember when Dolmar first shared what he’d created with me, and instantly I was pumped when I saw possibilities. We jumped in and collaborated on refining it and turning it into the awesomest Property Scout-getting engine it could be together… and now we’ve started letting “beta testers” try it out in their own REI operations. I kid you not, the program does all the heavy lifting for you—which includes not just helping you land new property scouts, but auto-training and communicating with them too. One of the easiest ways you can use the Property Scout Pipeline to get bird dogs is our “Swipe & Deploy” Craigslist hack (it’s probably not what you think). It’s a back door strategy to getting motivated seller leads for $0. I started posting ads…on Friday and got 9 scouts so far. I ran your adv #1 for Scouts on Craigslist yesterday about 6:00 pm and had 5 signups the first hour! Now I have 19 in less than 24 hours! Wow! Those are legit, real people who just test-drove the Property Scout Pipeline for themselves, and were impressed with the fast results they got. In fact, I tested it out myself and had leads flowing in from motivated sellers in a matter of hours. It’s so simple too. When you use this backdoor tactic, you won’t need to spend a dime to find sellers who need to dump their houses, ASAP. So look, I won’t keep going with details. If you’re intrigued and want to see/know more, just check out this Property Scout Pipeline press release with more details for you. PS—I’ve personally used this to get leads in less than 24 hours. Frankly, I was amazed it worked so darn well. Plus, it’s stupid simple.